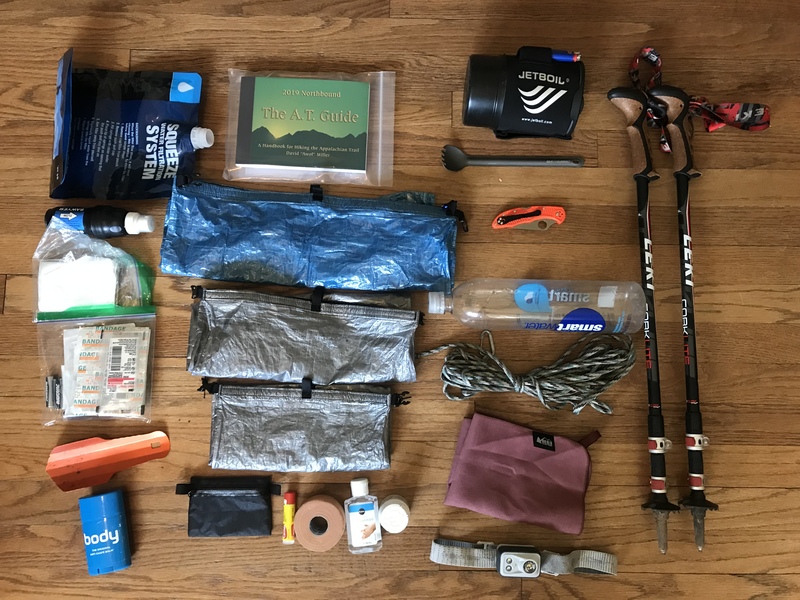 Here is my initial gear list for starting the Appalachian Trail. I am not going to include much detail, as most of the items can be found quickly by going to the top of this article and clicking “view my gear list.” Once at the list, most of the items have a built-in link that should take you to a website for specs. 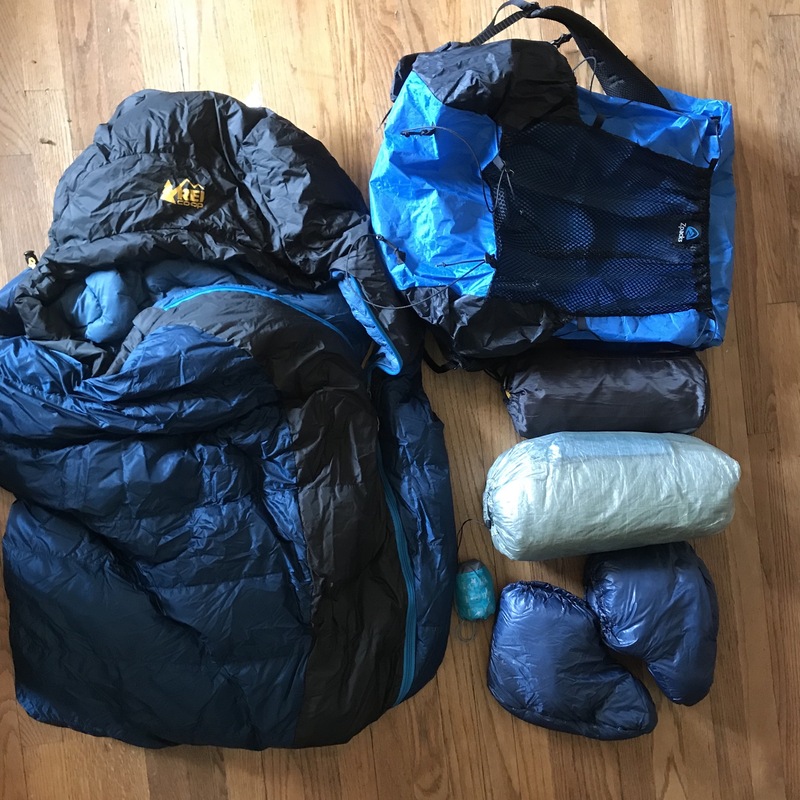 The Big Three include your pack, tent, and sleeping bag (I’m going to include my entire sleeping system). Starting from the left and going clockwise: Igneo sleeping bag, Arc Blast, Xlite pad, Duplex, down socks, and inflatable pillow. 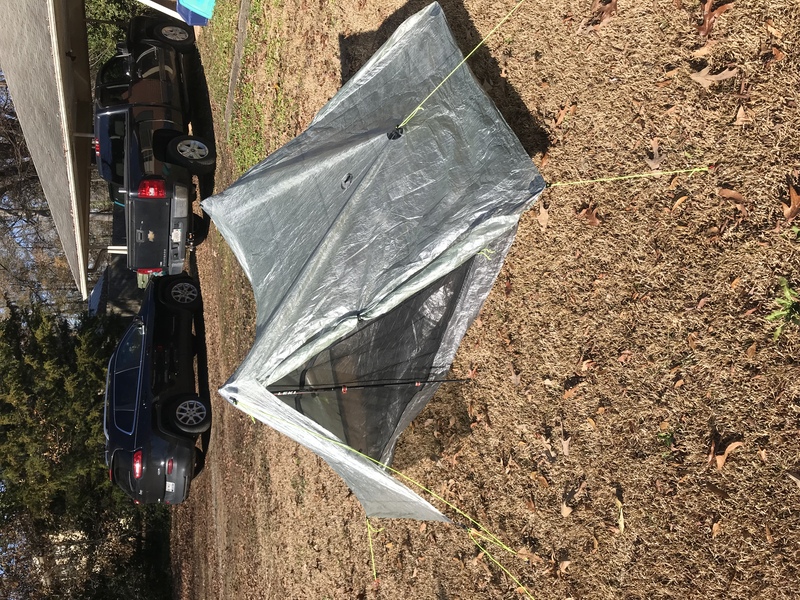 Thought process: I started with a different pack and tent a couple years back but managed to shave multiple pounds off my base weight by jumping to the Arc Blast and Duplex. Both pieces are really well made and the stay system on the pack allows some breathability not found on other ultralight packs. The sleeping bag isn’t the warmest or lightest, but it should do. The down socks are for the really cold nights and won’t make the whole trip—but a shakedown hike taught me I needed them. The inflatable pad is comfy and the pillow is a pure luxury item to aid in sleeping. This was always my biggest question when I was looking into gear, so I’ll add a little of my thought process to the gear choices. Shirt: Huk Performance shirt (long sleeve sun shirt—well-known fishing brand, and I have worn them a lot in the past). Everything else: Two pairs of Exofficio 3” boxer briefs. Two pairs of Darn Tough socks for hiking. One pair of Darn Tough socks for sleeping (thicker). I plan on my daily wear being underwear, my Baggies shorts, Huk shirt, Buff, and hat. Even when it’s cold I plan on just wearing shorts. If it gets too cold I’ll put my rain pants on. I’m trying to leave the base layer, especially the bottoms, for camping. Shoes have been a long journey for me. Up until three months ago I was going to wear a pair of awesome boots that I have a couple hundred miles on. I wanted to wear boots to protect my ankles, but after wearing trail runners, I’m going in that direction. Not only are trail runners lighter, but I know shoes are going to get wet—and trail runners will dry a lot quicker than the boots. Additionally, I’ll be starting slow (ten to 12 miles per day), to help strengthen my ankles through hiking. 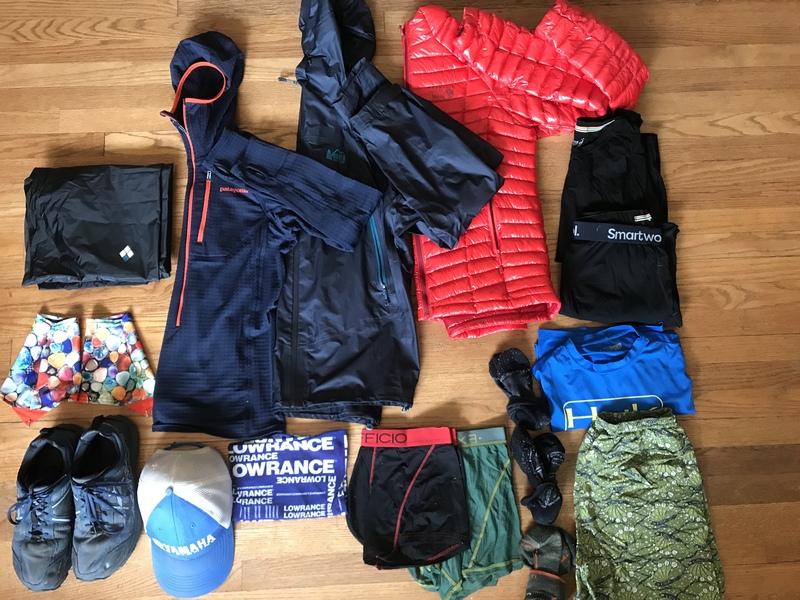 Starting top left and going clockwise: Altras, gaiters, Versalite pants, R1 hoody, rain jacket, Ghost Whisperer, Smartwool base layers, Huk shirt, Baggies, socks, boxers, Buff, hat. Lets all take one second and marvel at how I still remember to spell miscellaneous from second grade vocab. As an engineer, my spelling is usually pretty horrible. Just wanted to share my joy with everyone else. You may just want to look at the picture for the rest of the items—and scan down when you wonder what an item is. Top row (L to R): Body Glide, Deuce Trowel, first aid bag, TP, Sawyer Squeeze and bag; second row: wallet, Chapstick/tape/sanitizer/ibuprofen, two dry bags, food bag, AWOL guide; third row: headlamp, small towel, bear rope, water bottle, pocket knife, spork, JetBoil, trekking poles. Final thought: The easiest way for me to lose a little weight would be a lighter cooking system. The JetBoil is easy to use and I’m super lazy when it comes to cooking. If I end up not wanting it, I’ll send it home and cold soak. Extra pic. 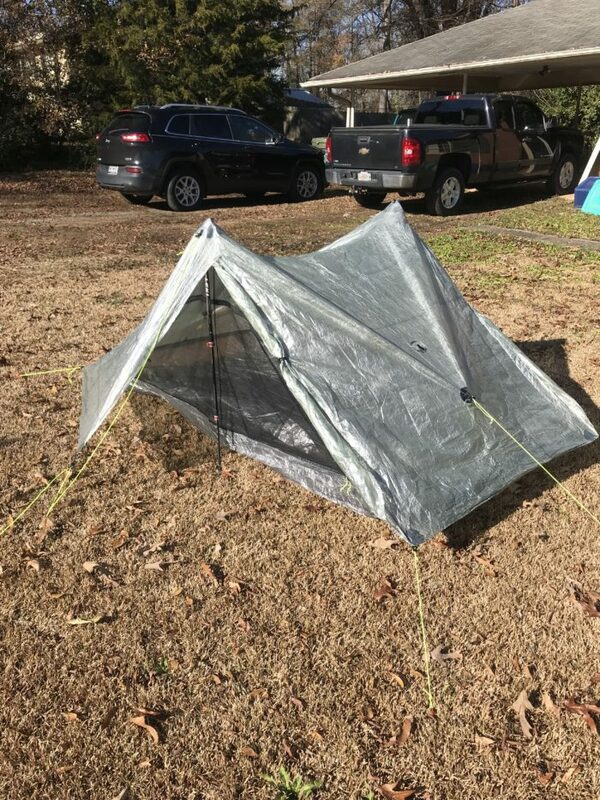 Here is the day I got my Duplex—trekking poles hold up the middle, and then guylines (strings) hold the tent up with tension. Feel free to ask questions, critique, or drop suggestions. Isaac!! Congrats on the journey. Question about the baggies. Did you cut out the mesh briefs?